husband and I had lunch several times already, see here my blogpost about their lunch box. 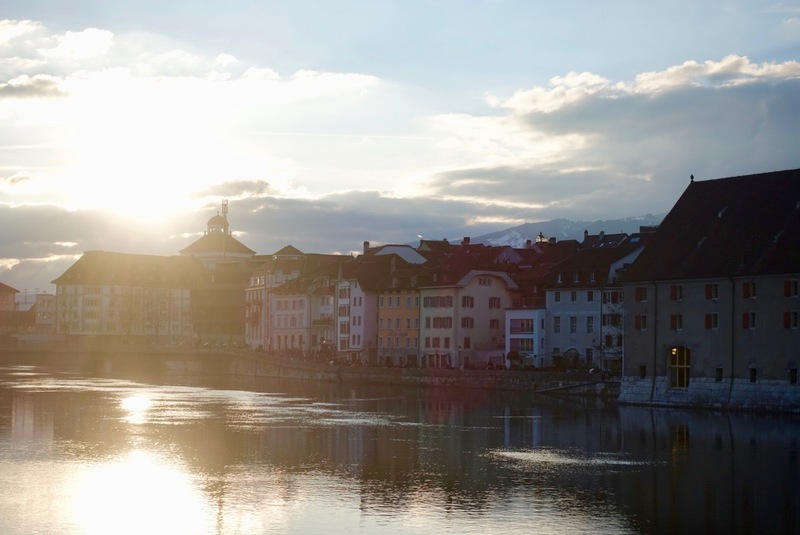 The restaurant, an ancient salt house – as its name suggests – is located in the heart of the picturesque old town directly on the river Aare. The interiors were renovated in a stylish, modern way without disregarding the place’s original character. When weather permits it, you can also dine in the garden restaurant with view of the river. 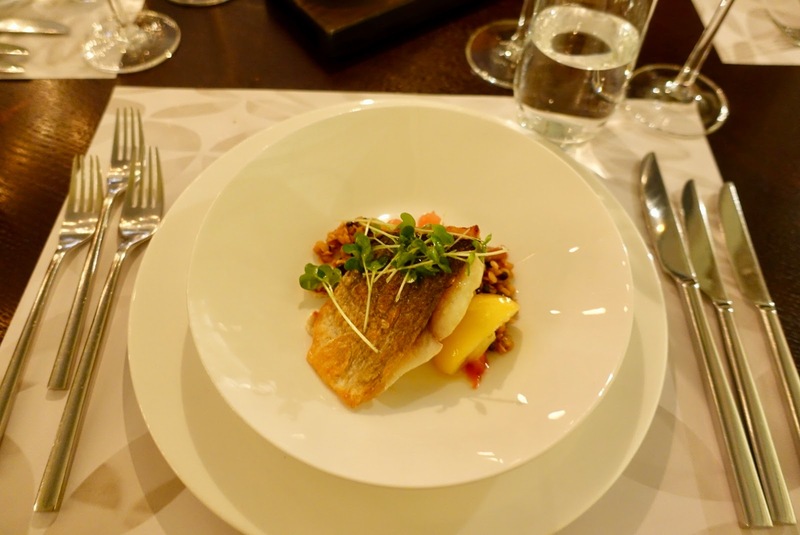 On offer here is a mix of contemporary and classic cuisine. Swiss food is available but also lots of south European and Asian dishes. There is also quite a choice for vegetarians and even an option especially for vegans. Everything you get here is of good quality, expertly prepared and nicely presented. 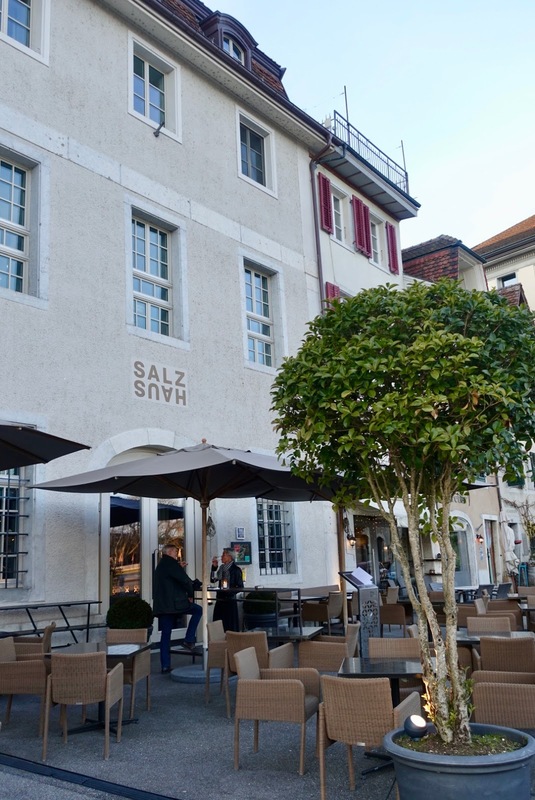 The Salzhaus was awarded 14 Gault Millau Points and a BIB Gourmand by Michelin, which is a sign for good quality and good value cooking. 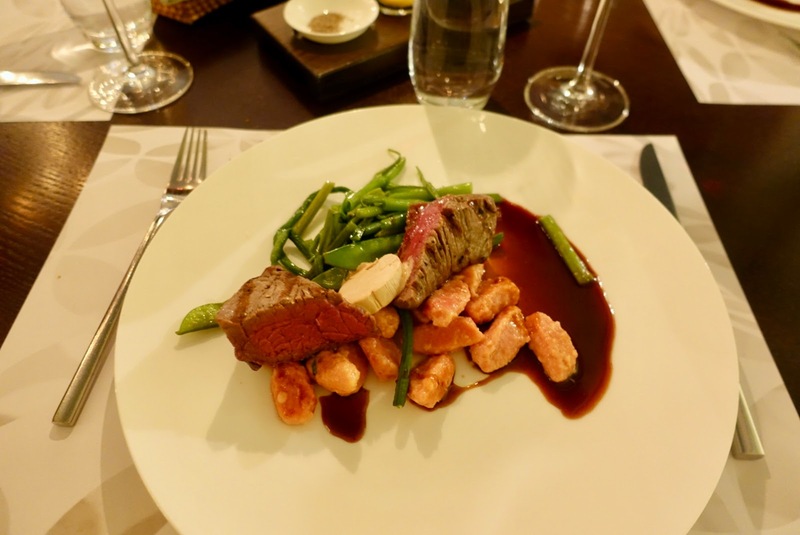 You can either choose from an a la carte menu or order two to five courses from a set menu announced by the server. As we found the featured menu appealing, we opted for four courses from it. A gilthead seabream with lentils and tomatoes made a delicious start to the meal. 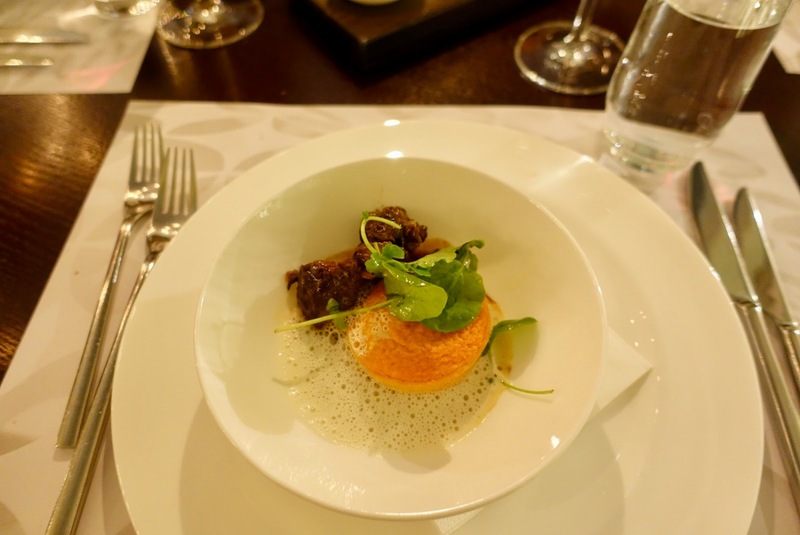 It was followed by tender wild boar cheeks paired with a tasty carrot flan. We proceeded with the main, a Piedmontese rump steak, accompanied by beetroot malfatti – a kind of gnocchi –, snake beans as well as port wine sauce and butter. The beef, beautifully chargrilled in the Big Green Egg, was robust and amazingly succulent. 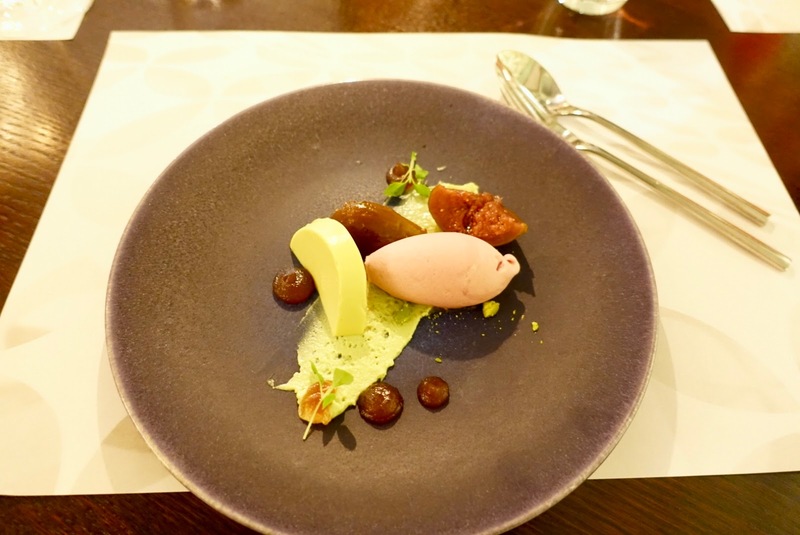 The final course featured a pistachio lime flan, which worked well with the raspberry sorbet and the pickled pears. 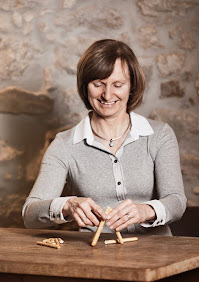 Service was paced exactly right, staff was accommodative, informative and kind. The chef, Christian Haertge, has been in charge here since the place opened in 2009 and has been stirring up the local culinary scene with his somewhat wild mix ever since. When it comes to the costs for eating here, it does not come inexpensive, especially if you go for prime cuts of meat. 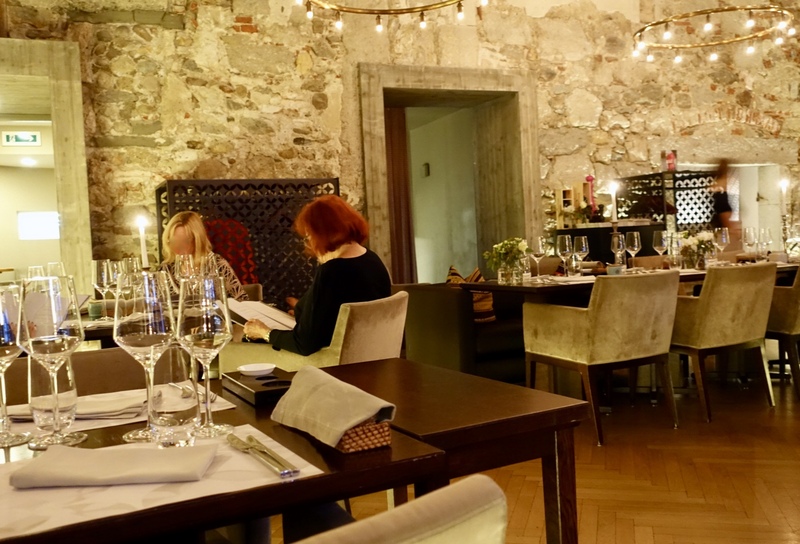 But Restaurant Salzhaus is absolutely competitive compared with other establishments of the same class in the area. You get sound value for money if you opt for the Salzhaus menu, the above mentioned 4-course menu amounted to 74 SFR. If you look for a restaurant with modern Asian-influenced food in the baroque town of Solothurn, then you cannot go wrong with the Salzhaus. Its prime location on the river and its hip atmosphere are further benefits.